In an era of chronic illnesses like hypertension and diabetes, you know what a treasure good health is. And good health means more than just exercise; it’s about overall wellbeing. On a global and national scale, mental health has revealed itself to be a key ingredient for safe, well-functioning communities and societies. 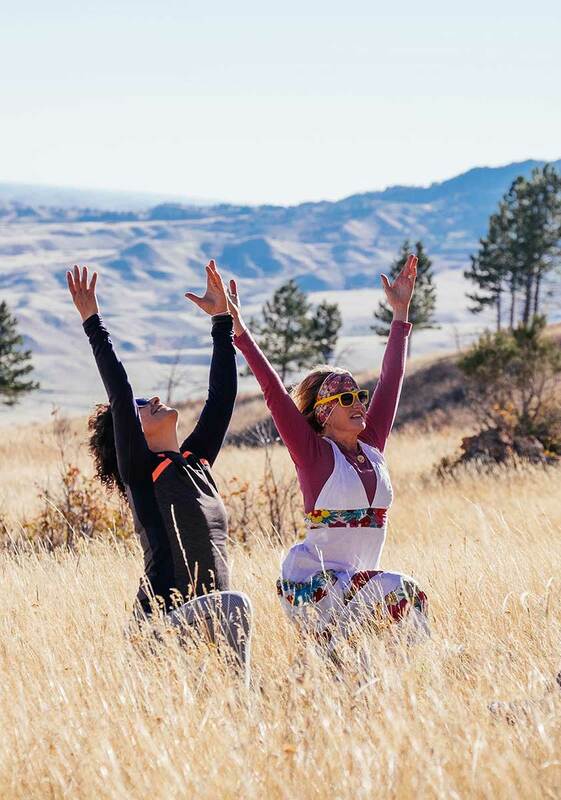 The good news is that leaders in Sheridan County continue to plan ahead with wellness at the forefront of their strategic considerations – right up there with economic development. Whether it’s large employers like the local school districts or Cloud Peak Energy who use wellness as an incentive in the workplace, wellness is getting its well-deserved spotlight in our community. And the spotlight isn’t just about going to the gym. More local folks – and more local leaders – are talking about the importance of trails close to home. One of these leaders is Kelly Lieb, a Physician Assistant at Sheridan Memorial Hospital. Kelly grew up here and has called Wyoming home her entire life. For Kelly, wellness of patients, as well as her own health, has always been important. But she knows it takes work. “My coworkers and I lead busy, stressful lives and so do many people in our community,” she says. Before her twelve-hour shift in the hospital’s Urgent Care facility, you can often find Kelly walking or jogging near Big Horn with her two golden retrievers. And as you might imagine, all three of them are huge fans of Red Grade Trails. As much as Kelly loves these trails, she loves sharing them even more. “Many of the patients I see during my shifts are people who have significant health challenges, where getting active – and healthy – can seem incredibly daunting. And I’m not exaggerating when I say their lives depend on it,” she explained.